Your wedding will undoubtedly be one of the best days of your life—but unfortunately, weddings can also be very pricey. From the invitations to the flowers, there are hidden costs everywhere. Setting a wedding budget is really important so you know how much you can spend. But how can you have the day you have always dreamed of without breaking the bank? We have put together a list of ideas to help you save on your wedding budget. All these small savings will soon add up to a large chunk of something more practical such as a future mortgage. Set your budget early on: Know how much you can spend and stick to it. Read our tips on how to set a wedding budget. Cut down numbers: Be tough on your wedding list and only invite those guests who you really want to attend. Cut down your bridal party: A large bridal party means a hefty florist bill and six bridesmaid dresses might break the bank. Look for bargains: The more time you give yourself the better chance you’ll have of finding that perfect dress on sale. Shop around and compare prices. Off peak: Plan a weekday wedding or choose an off peak month to take advantage of supplier discounts. Talk to suppliers: Let people know your wedding budget upfront. They will let you know if they will be happy to work within it or recommend someone else. Embrace all-inclusives: Choose a venue that offers a catering package. Choose local flowers: Seasonal and local flowers will be cheaper. For the centrepieces buy wholesale flowers and arrange them with your bridesmaids. Book a DJ: On average a good DJ costs five times less than a live band. Borrow or rent: Renting or borrowing will save money. Think about other weddings you have been to and if there were any items used that you would like to borrow. Trim the length of your reception: Cut it down from five hours to three hours. Your guests will still enjoy themselves and you can save a fortune. DIY It: The little extra touches can save you money if you do them yourself. Get creative and enlist the help of your bridal party. Invitations, favours, table centrepieces, can all be handmade. Pinterest (link) can give you some great ideas and inspiration. Ditch the chair sashes: Yes they look beautiful, but often the chairs at the venue will suffice and sashes are an extra added expense. Your guests will not notice and will still have the best day. Use people’s skills in lieu of gifts: Have a friend who is a DJ or plays an instrument? Ask them to do your music. If you have a friend who likes to bake, ask them to make your cupcakes. 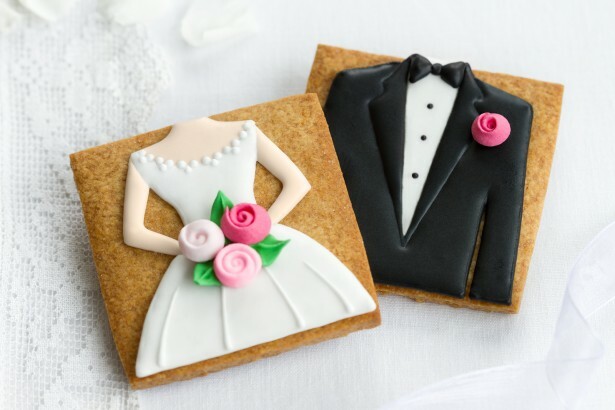 Skip on the favours: Do you remember that wedding favour you received at your cousin’s wedding last year? Of course not. Favours can be a huge expense if you are planning a large wedding and most guests won’t notice if you don’t have them. Nobody will notice what you arrive or leave in: Skip the limo and the horse drawn carriage. Negotiate negotiate negotiate: Never accept a supplier’s first price as there is always room for negotiation.